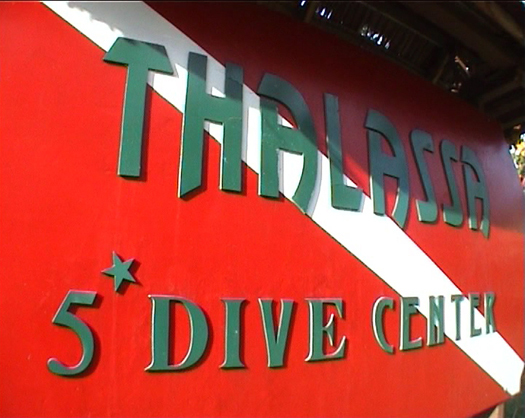 Thalassa commenced operations in 1996 and has been managed by Simone Gerritsen since the beginning. Simone is Dutch, speaks perfect English and is a PADI IDC director. 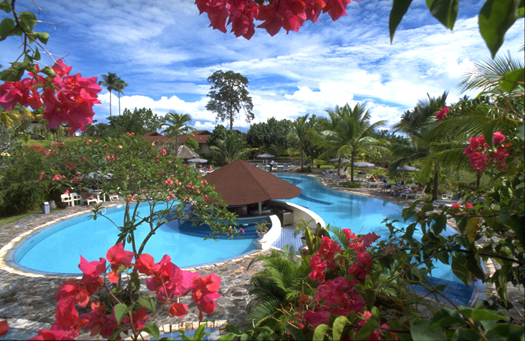 The dive centre is located at the bottom of the Hotel Santika gardens and a few steps from the shore. Quite a few steps in fact, as one of the features of diving from Thalassa is the long stroll down the jetty, through the mangroves to reach the boat dock. 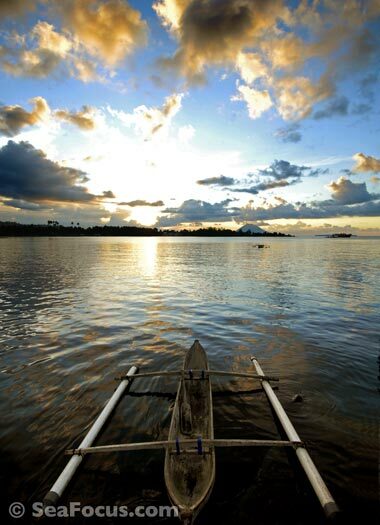 This isn't an issue though as – like all Indonesian operations – once the crew have your kit, they do everything fo you. Log in at the office each morning, pick up any personal items and it's off to the boat. A really nice aspect to the jetty and large, protected dock area, is that the shallow man-made lagoon is great for doing check out dives with cameras. We saw some incredible things in a couple of metres of water and never did manage to work out what some of the juvenile fish were. 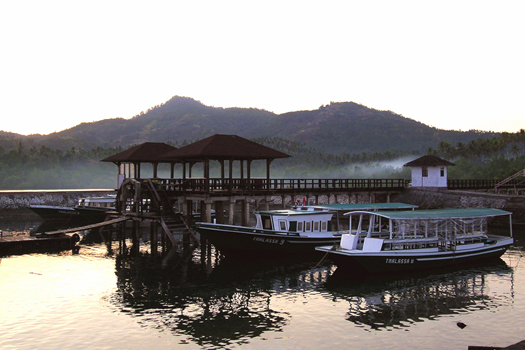 Trips are scheduled to leave after breakfast and will do either two or three dives, depending on your package. Lunch is served on board and there is plenty of drinking water. Simone's crew are trained to her very exacting standards and are both super-efficient and charming dive buddies. The hotel buildings will not be what a lot of people expect from a dive resort - the main buildings are three stories high and stretch in long wings away from the central reception hall, restaurant and bar. It feels and looks rather like any international hotel and the room facilities match that... air-con, fridge, tea and coffee, TV. However, where this style of architecture comes into it's own is that the rooms are high enough to see over the gardens and coastal trees. 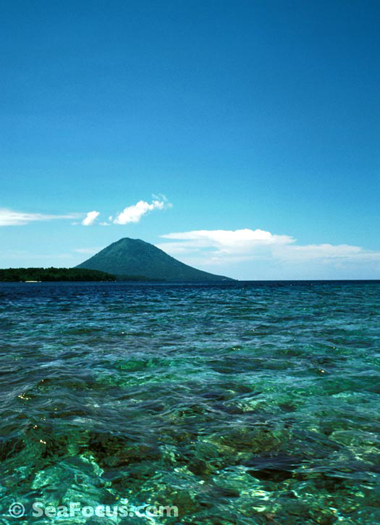 Consequently, you get a great view from your balcony towards the marine park and Manado Tua as it looms over the horizon from almost every angle. There are some lovely, individual bungalows dotted around the gardens as well, but these don't have the view. 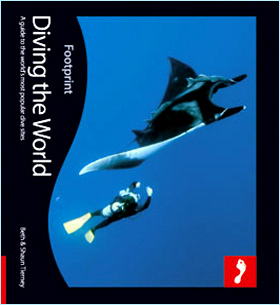 Meals are included in dive packages and tend to be buffet style with a wide variety of food. There is also a second, smaller restaurant on the hill above the dive centre, but it has never been open on either of our stays at the resort. The bar area is beside the main dining area and is fine, but the swim-up bar in the main pool is far nicer, even if you do have to go and find a member of staff when you want one. 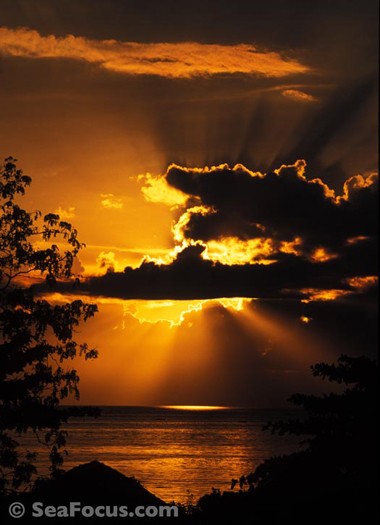 Top 3 images, courtesy of Thalassa.